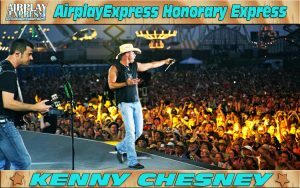 Synopsis: Kenny Chesney was born on March 26, 1968, in Knoxville, Tennessee. He went gold with Me and You in 1996, platinum with I Will Stand in 1997 and double platinum with Everywhere We Go in 1999. By 2000, Chesney was a bona fide star who was adored by legions of country music fans. In 2001 he released his first Greatest Hitsalbum. In 2008 he toured, and was nominated for seven CMA Awards. Early Career: Country singer Kenny Chesney was born on March 26, 1968, in Knoxville, Tennessee. 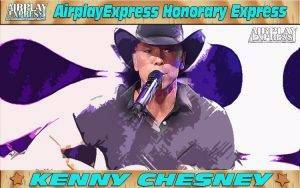 While attending East Tennessee State, Chesney hooked up with a college band and started writing his own songs and playing at local bars. The hard-working musician eventually recorded an album to sell at his shows. After graduating with a degree in marketing in 1991, he headed to Nashville to pursue a career in music. 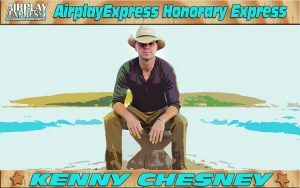 After a slow start and modest sales on recordings Chesney completed with Opryland Music Group and Capricorn Records, Chesney caught the attention of RCA’s affiliate, BNA Records. It was while with BNA that the singer went gold with Me and You in 1996, platinum with I Will Stand in 1997 and double platinum with Everywhere We Go in 1999. By 2000, Chesney was a bona fide star who was adored by legions of country music fans. Mid-Career: In 2001, Chesney released his first Greatest Hits album, followed by 2002’s rock-influenced No Shoes, No Shirt, No Problem. The following year, he completed a successful tour. In 2004, Chesney was named Entertainer of the Year by the Country Music Association. The following year, he released two new albums: Be As You Are: Songs From an Old Blue Chair (2005) and The Road and The Radio (2005). Both recordings were smash hits, reaching the top of the country charts with such singles as “Who You’d Be Today” and “Guitars and Tiki Bars.” While he was experiencing success in his career, his personal life went through a series of ups and downs around this time. Chesney married actress Renee Zellweger in May 2005, but the union was annulled seven months later. Chesney released a concert album, Live: Live Those Songs Again (2006), which topped the country album charts and made an impressive showing on the pop album charts as well. He also was honored at the Academy of Country Music Awards as Entertainer of the Year for two straight years—2006 and 2007. 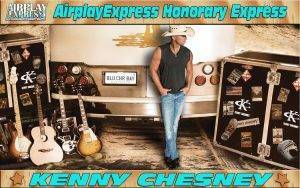 More Hits and Awards: Chesney released Lucky Old Sun in 2008. One of the album’s singles, “Everybody Wants to Go Heaven,” became an instant No. 1 country music hit. In November of that same year, the Country Music Association presented Chesney with his fourth Entertainer of the Year award. The win tied Chesney with Garth Brooks for the most wins of the CMA’s top award. Chesney continues to top the country charts. His newest album, Hemingway Whiskey (2010) had two top singles, “The Boys of Fall” and “Somewhere with You.” Chesney married actress Renee Zellweger in May of 2005. They annulled the union several months later. 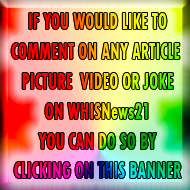 Since then, he has been romantically linked to former Miss Tennessee Amy Colley and a nurse, whose identity he has kept anonymous.